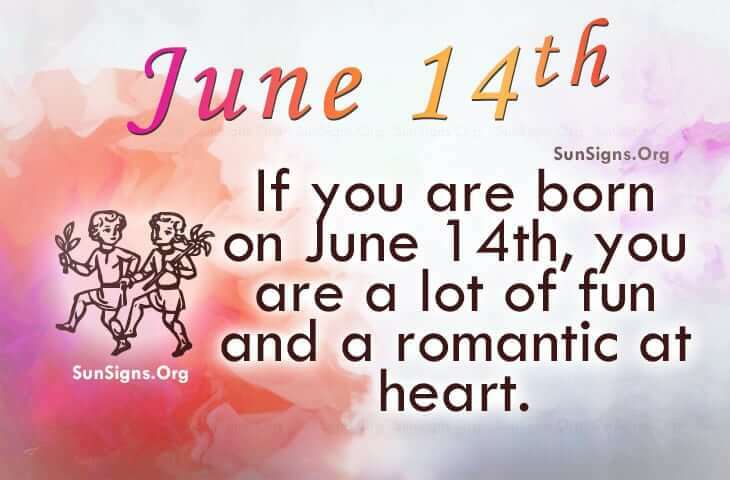 Famous people born on JUNE 14 are perhaps a Gemini who love learning. They find learning fun and useful. They can tell a lot by looking around their environment. They have an assortment of unusual things that generally tell a story. As a parent, they will teach values that were instilled in them as a child. They will likely be the strongest provider for their child(ren) which means they will not be able to spend a lot of time with them. In a relationship, famous people born on June 14 may want to be the center of attention rather than putting their partner first. Generally, famous people born on June 14 are hard to say no to. So, needless to say, they are spoiled. Otherwise, they can be found curled up with a good book spending quality time alone. They seem to like it this way as it is not easy for them to trust anyone totally. However, they are a lot of fun and a romantic at heart. Famous people born on June 14th likely have a home is filled with a unique and interesting deep-rooted charm. One of Gemini’s favorite pastimes is watching documentary TV. But they can be emotionally reserved.